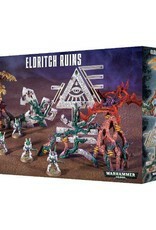 Sinister, arcane structures that resonate with the powerful psychic energies of their long-passed creators, the Eldritch Ruins are pieces of ancient Aeldari architecture whose purpose may be long-forgotten – but their lethality is every bit as potent as the day they were hewn. 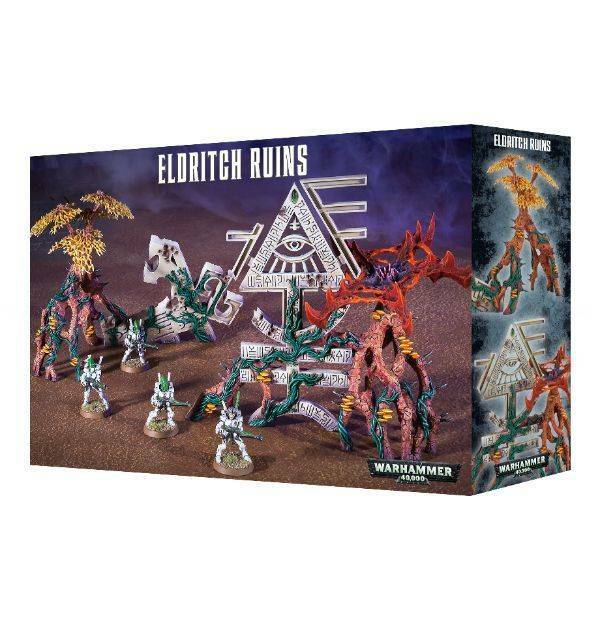 This multi-part plastic kit contains the components necessary to assemble 2 pieces of Eldritch Ruins, overgrown and deadly scenery pieces representative of fearful deathworlds. Covered in symbols and entwined with malevolent deathworld flora, they’ll give your gaming table an extra-arcane look – and they’ll add to your games, as they’re complete with rules for use in games of Warhammer 40,000. The kit comes as 13 components.